Family Activity: Race to Jesus. Start by explaining to your child in simple terms that an angel told the shepherds about Jesus and when the shepherds heard the news about Jesus’ birth they hurried to see him. They went fast. You can use the pictures provided in this packet to set up your race, or use things you find around your house, a stuffed sheep and a baby doll or pieces from a nativity set; be creative, whatever works best for your family. The most important thing is to teach your children about Jesus and to have fun along the way. Family Activity: Race to Jesus. Start by explaining to your child in simple terms that an angel told the shepherds about Jesus and when the shepherds heard the news about Jesus’ birth they hurried to see him. They went fast. And you are going to hurry to see him too. Set up a race, starting at the sheep and ending at the manger, whoever gets to the baby first wins. Clap and Cheer! You made it to Jesus! 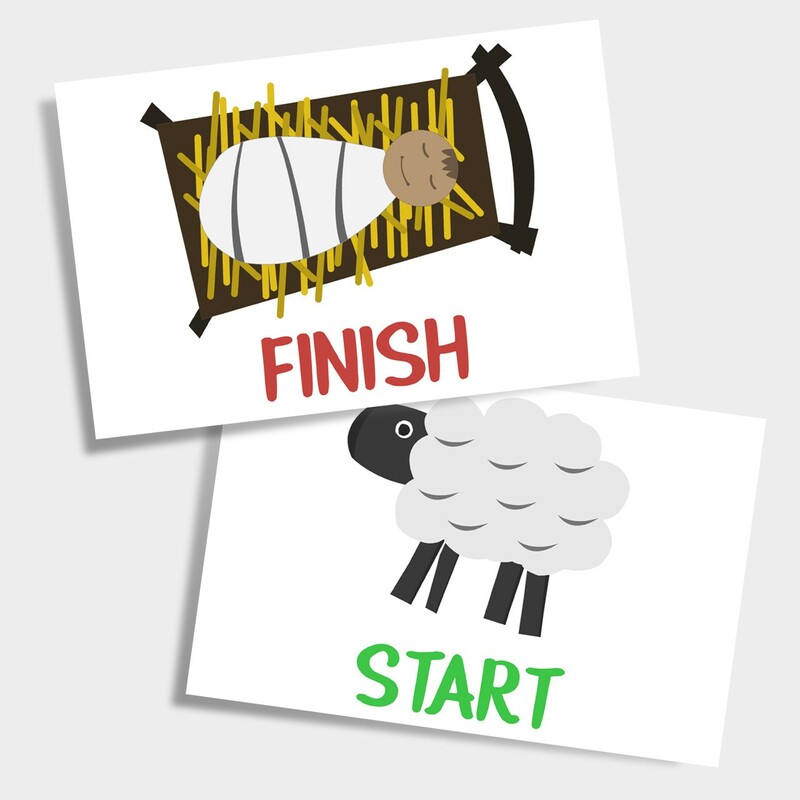 You can use the pictures provided in this packet to set up your race, or use things you find around your house, a stuffed sheep and a baby doll or pieces from a nativity set; be creative, whatever works best for your family. The most important thing is to teach your children about Jesus and to have fun along the way.